Thank you for your interest in my dancing to delivery class this coming Saturday. 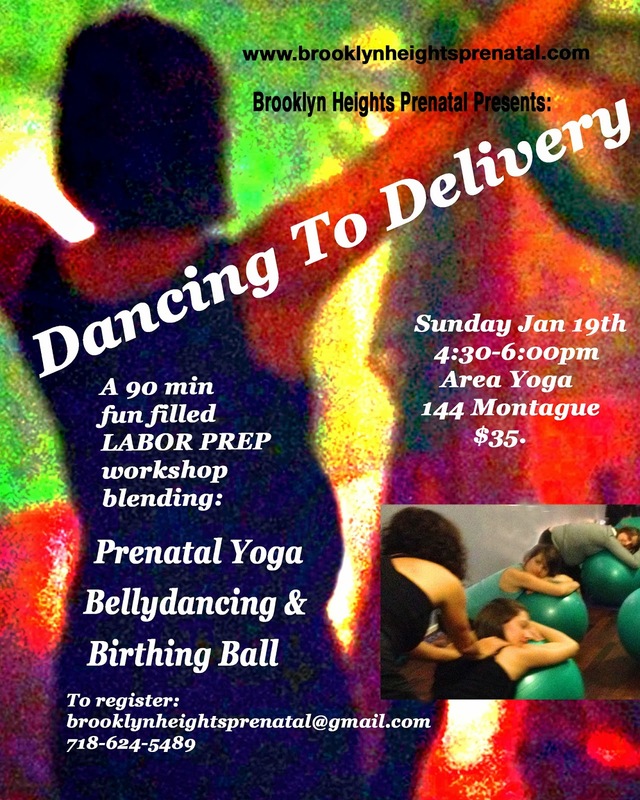 This is a special class with a focus on movements over the birth ball and flowing prenatal yoga -dance sequences ; working with spirals , vocal toning and breath centered movement designed to stretch , relax and tone the pregnant body . The free flowing organic earthy movement vocabulary of middle eastern bellydance is great way to get your oxcitocin flowing and connect with your instinctive primal energies in preparation For labor and birth. 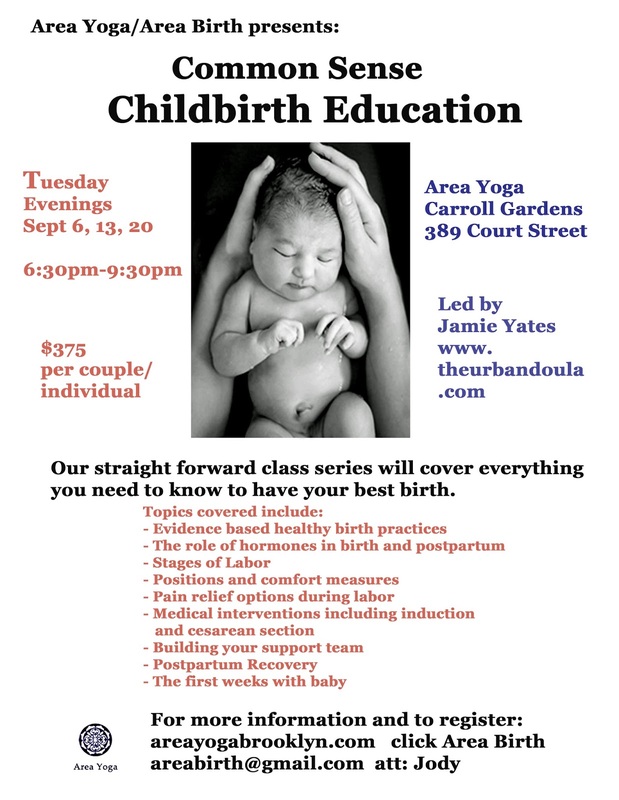 Taught by an experienced birth and postpartum doula , women will also have a chance to practice movements and position changes on and off the birthing ball that are helpful restorative and relaxing in pregnancy and labor . 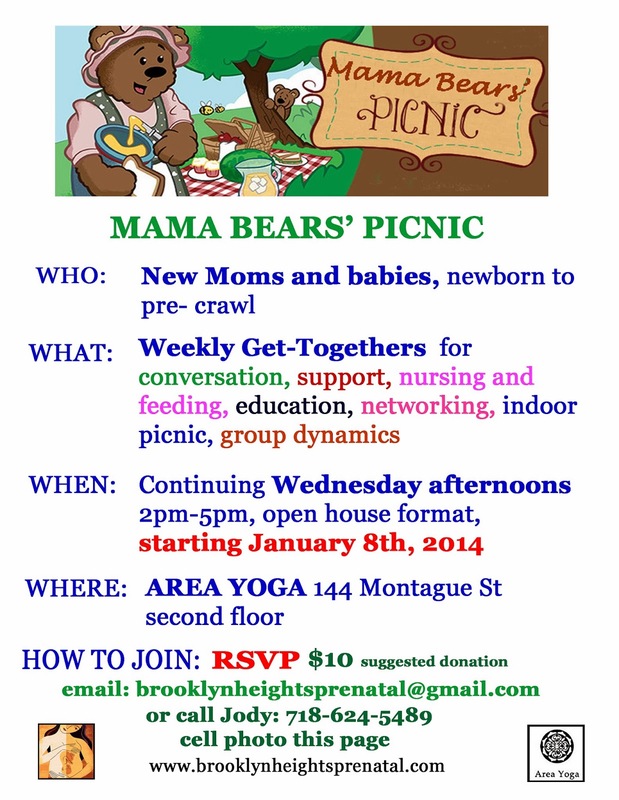 This Monday, AREA YOGA adds yet another prenatal yoga class to our schedule. Our Monday 11:15am class makes a daytime pair with our Wednesday 11:15am class. 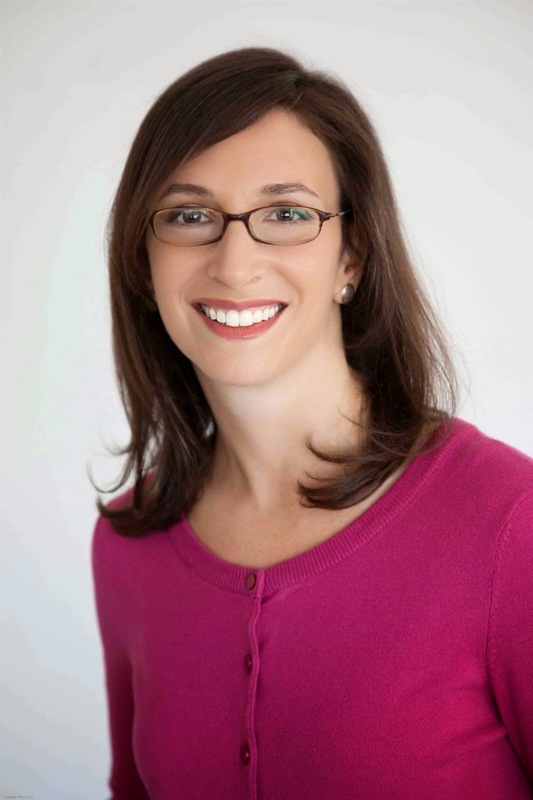 Both classes will be led by our excellent teacher, Abbie Groff. she has created a wonderful fitness and well being opportunity. in their last trimester or even weeks or days close to duedate. hip and pelvis opening and to practice labor comfort techniques. An awesome opportunity to prepare for labor. 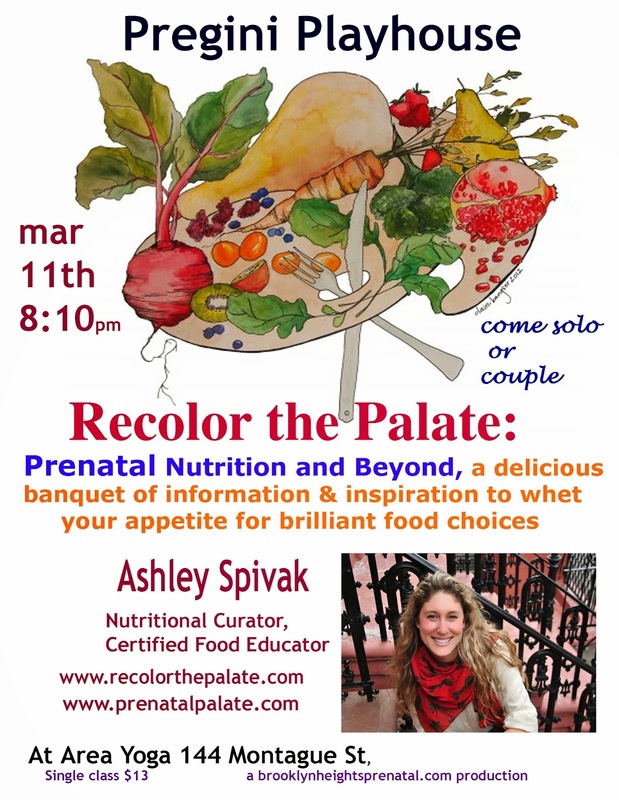 A great way to meet and join with other local pregnant ladies. 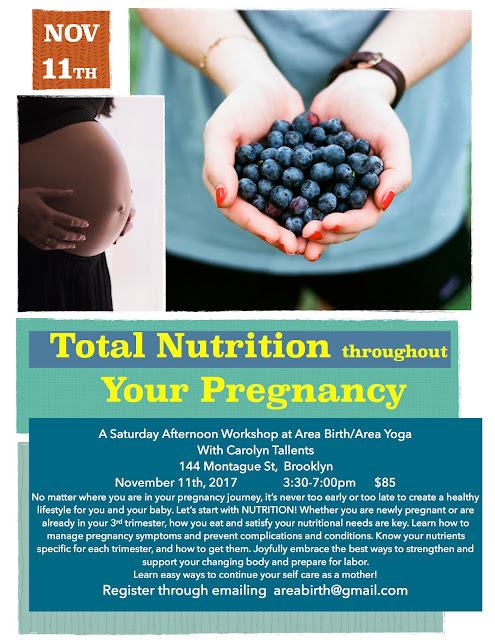 From our workshop, "Calm and Comfort for Pregnant Couples"
Here at Area Yoga, we have a fantastic Prenatal Yoga line-up, taught by the most knowledgeable, gracious, and compassionate Yoga instructors. 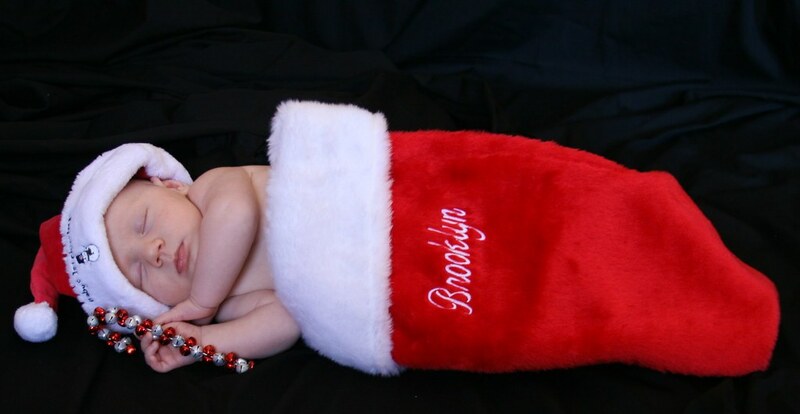 a committment to the prenatal community, and a beautiful 10 month old daughter. Here are Ana and Bella during a MamaBear Yoga class last February. Let Ana help you to bring out the most of your pregnancy and help you prepare to give birth. Our Education Series Continues: "Riding the Emotional Rollercoaster of Pregancy"
Personally, this is one of my favorite coping mechanisms. It's called, "Reclining Ostrich. 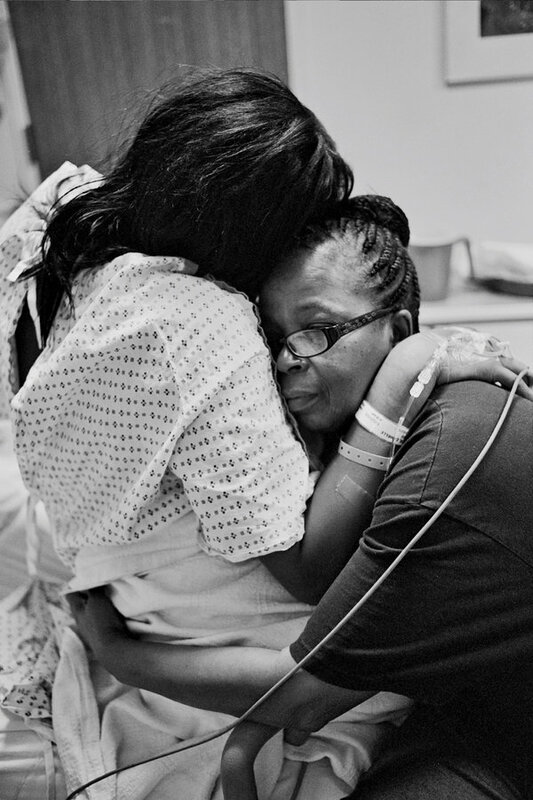 Anywhere at any given time, something can trigger a deep emotional response from the expectant mother, that she totally did not expect. Add to that identity changes, stress about the future, moving, and the concerns of the pregnancy itself. 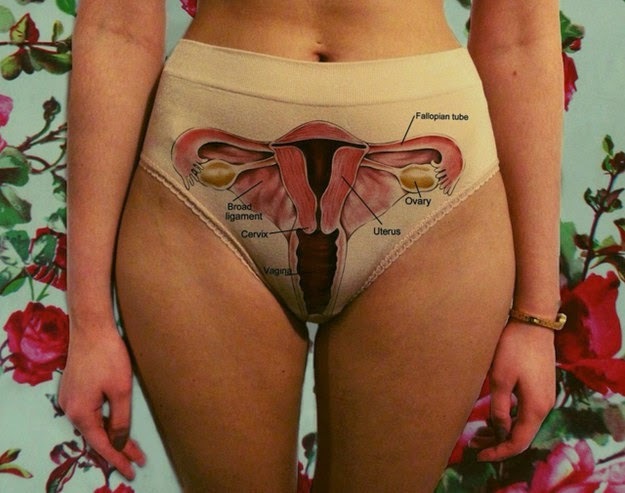 Oh did I mention, your body is not your own? It's no wonder that simple function is challenged, and emotional stability precarious. Want to talk about it? Want to share your experiences with other moms also in your boat? Would you like to hear the suggestions of a knowledgable, experienced, and supportive professional. 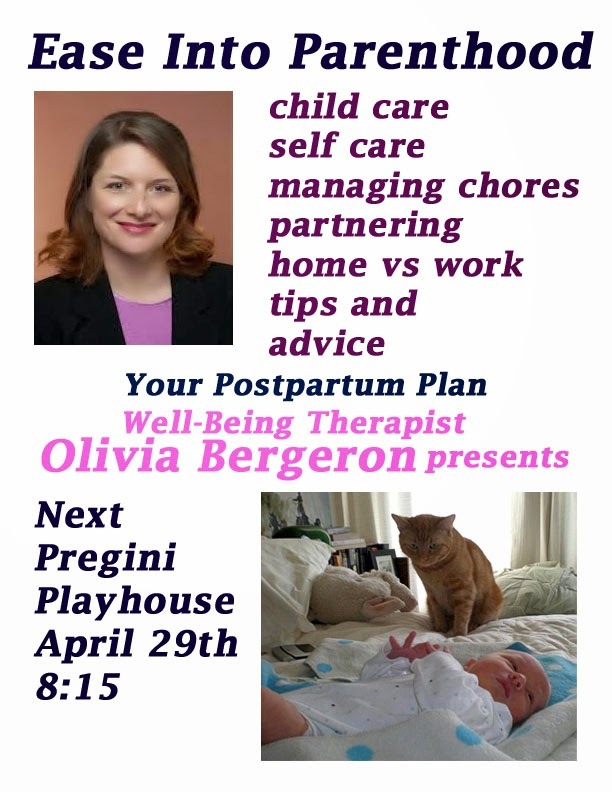 Then come on out Tuesday evening, to our Education Series, when our presenter, Flora Morgolis, Well-being Therapist, will address the subject of Your Emotional Well Being During Pregnancy. Flora will engage the group in questions and discussion, and teach and lead us through a few perception shifts and coping skills. 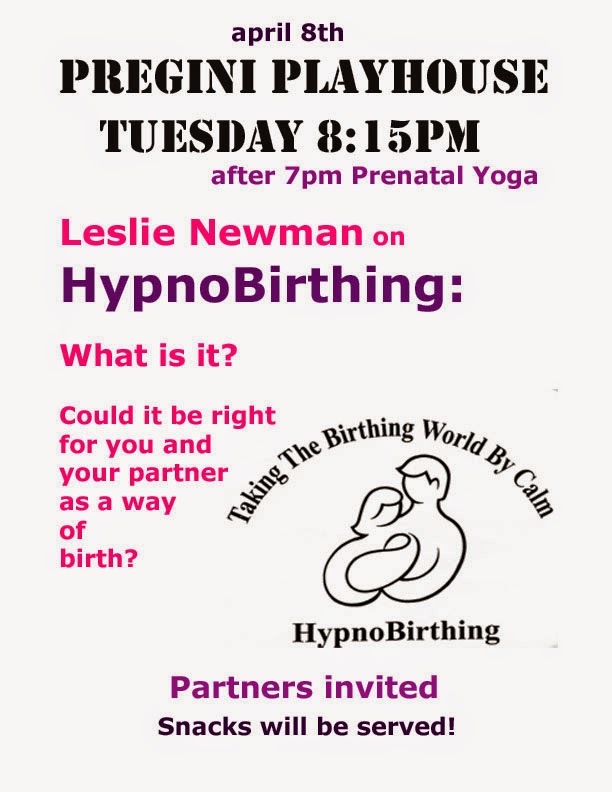 Tuesday Evenings Prenatal Yoga and Childbirth Education-"PREGINI PLAYHOUSE"
Right after the 7pm Tuesday Prenatal Yoga Class, we follow up the evening with a pregnancy and childbirth education class called Pregini Playhouse, beginning at 8:10. Refreshments served. 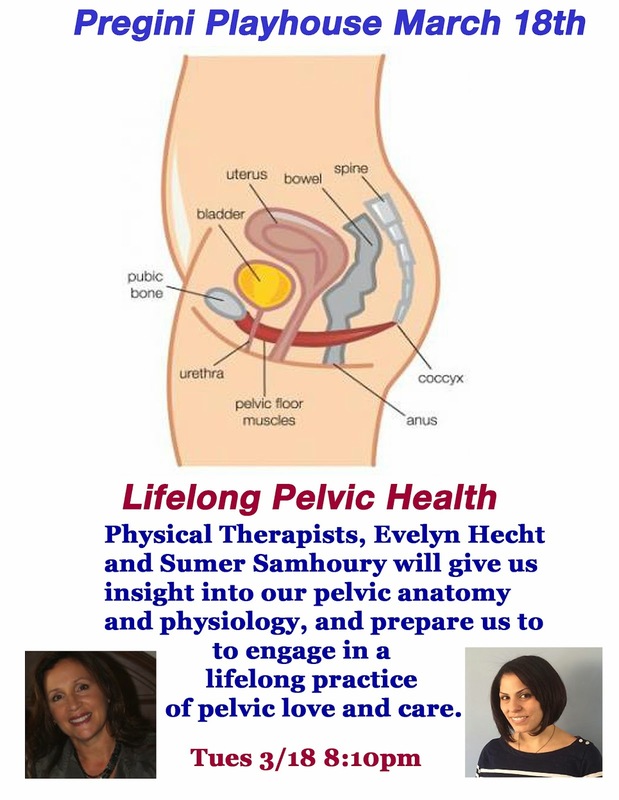 Each week there is a different presenter/teacher addressing one of the many topics and concerns surrounding your pregnancy, labor, delivery, and motherhood. Discussion and networking included. 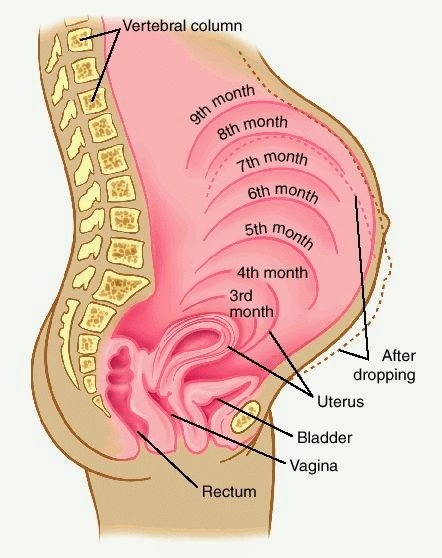 Feb 11th- "Your Growing Belly-What Physical Changes and Symtoms You Can Expect...Which Are Of Concern" A look at your uterus and your changing body through all three trimesters. Identifying the differences, discomforts, and adjustments. Confirming the normal, and determining which concerns are doctor-worthy. 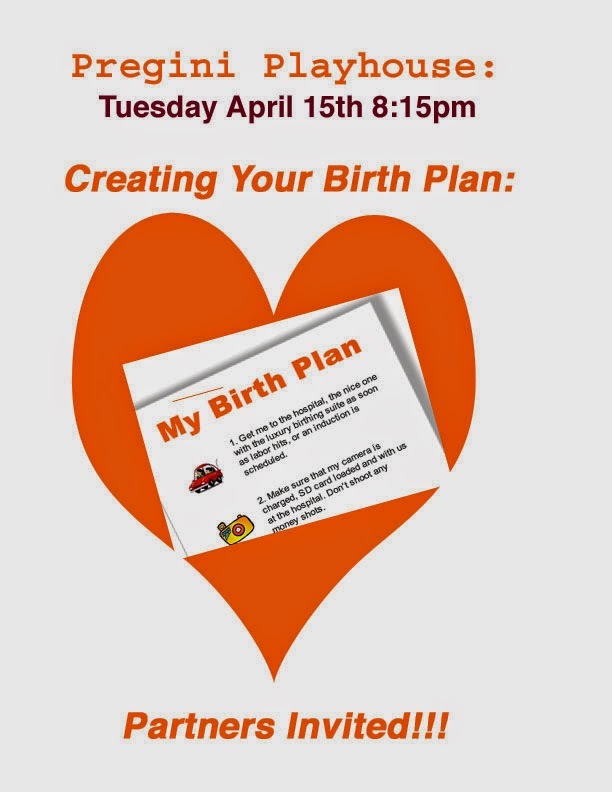 February 18th-"Do I Want A Doula?" Maybe you've heard the term doula, and wonder what a doula does. Would you, your partner, and labor process benefit with the service of a trained and compassionate "co-worker" included. All questions answered. February 25th-"The Emotional Rollercoaster of Pregnancy-Loosen Your Seatbelt, It's a Bumpy Ride!" Your well being is not just physical. How are you handling and adjusting to your present and future diversities. Suspect hormonal interplay? Happy? Anxious? Empowered? "Questioning?" 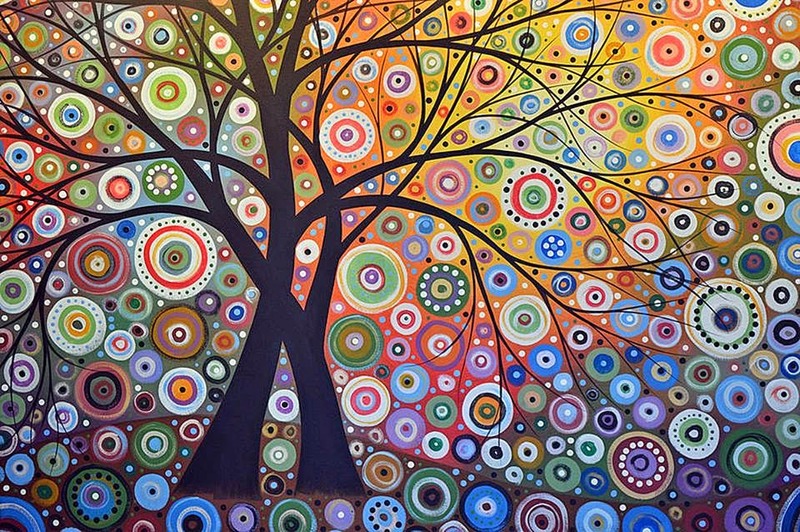 A forum of emotional responses will be tourguided, and simple grounding and peacemaking exercises will be taught. Pregini Playhouse, is an Area Yoga class and can be included on your "class card' or individually purchased as a single class, $13. Stay after you've attended the 7pm Yoga Class or drop-in. 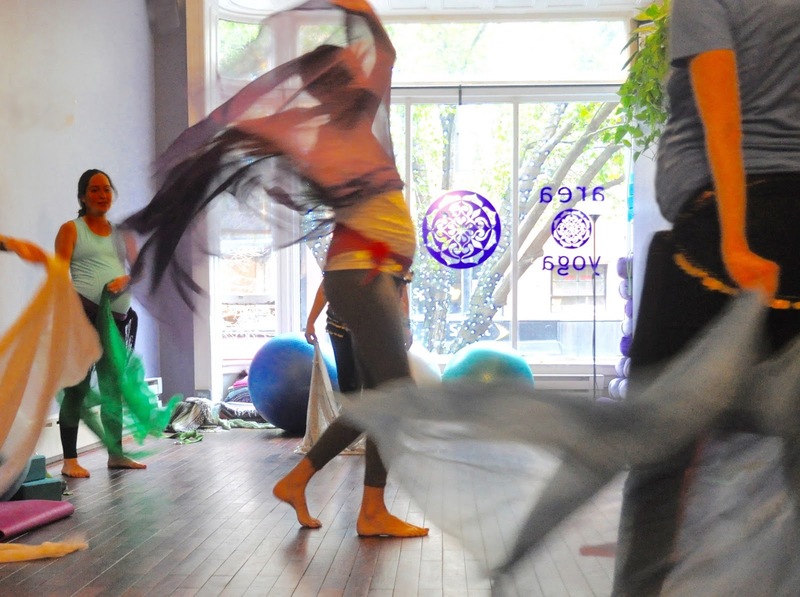 ON MONTAGUE ST. 7pm Area Yoga announces MATERNITY TUESDAYS at the Montague Studio. 7pm begins our new Prenatal Yoga Class, taught by Julia Arenson, Prenatal Yoga Teacher& Birth/Postpartum Doula (dancingdoula). One of the top news stories this morning is nuts! 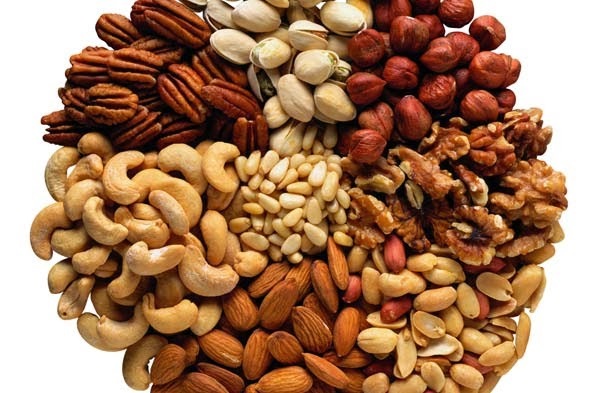 For a number of reasons......The new news is that pregnant women can and should eat nuts again. I didn't even know that nuts had been blacklisted. Nuts are fantastic! They are an invaluable source of iron, calcium, and all the minerals you and your baby need. 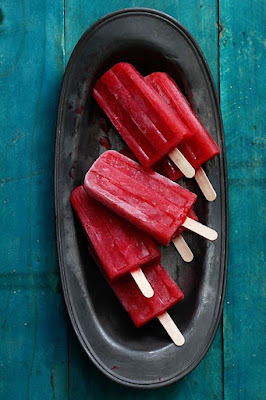 And they are concentrated, meaning that you do not need to eat volumes, you can consume them in small or medium size snack portions, making them an excellent choice when even a small meal feels difficult to digest. Apparently nuts were declared fooda non grata when the AMA started studies to explain the spike in peanut and tree nut allergies in children. And the first place to which they pointed their studies was pregnant mothers who consumed nuts during pregnancy. Obviously, these were women who themselves were non-allergic. The new study actually proves just the opposite. That non-allergic women who consumed nuts during pregnancy had children who were less likely to develop peanut and tree nut allergies. So between studies, the first with unreliable and scant information, and this new improved more trustworthy study, the warning against nut consumption and a semi-official ban on nuts was promoted by doctors and perpetuated along the pregnant grapevine. So sad. And nuts! Firstly, How often does the AMA reverse itself? Often. Secondly, these studies take decades to amass clinical evidence, while negative publicity goes out in a second, and the AMA releases hypotheses and the fact that they are conducting a study as though the study has proved itself.....and they do this as news releases. Thirdly, doctors either read or have heard about these unreliable studies and "authoritarianly" spread the advice. And Fourthly, pregnant women who are one of the most vulnerable targets of studies, either as the cause of something or the ultimate preventers of something are held hostage to their desires to do the best for their baby....to the detriment of actual true nutrition. If you are concerned about any food item. ....if your doctor has said this or that......If another pregnant woman has said, "Well, I heard............."
My advice: Do your own research and make your own self-educated decisions. There is a plethora of resources available to you. You can inform yourself with information, with personal experience, and with instinct. You can synthesize all three and you can have your own path. You also can be respectful of your fellow pregini and not spread heresay as fact, but encourage her own self education and even team up to collect information together. Disclaimer: Please do not think that I am anti-doctor, or do not trust doctors. Quite the contrary, I say, "Make sure you have a doctor that you can trust, that you like, and that you feel postive about." Come to our Meet-Up, Thursday, January 9th. 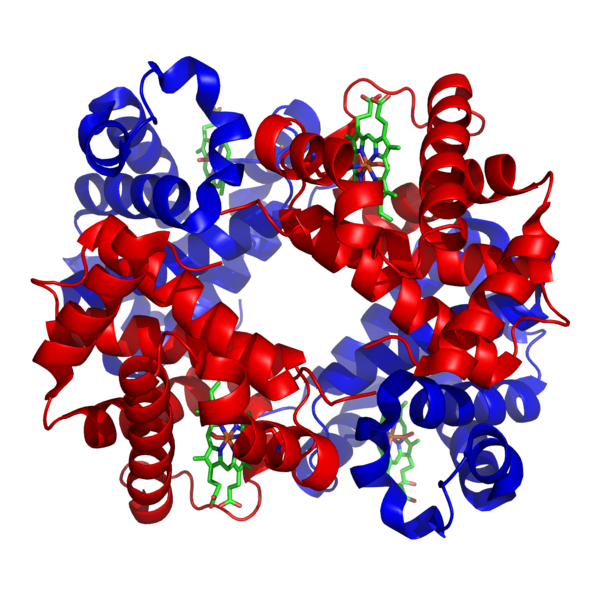 The subject will be: "Iron: Preventing Anemia During Pregnancy". Almonds are high on the list! You and your baby will love Prenatal Yoga! 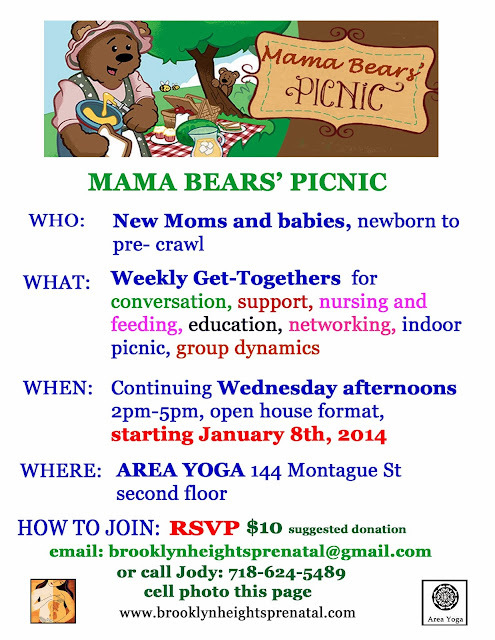 AREA Yoga Brooklyn Heights 144 Montague St, Brooklyn, NY 11201. Phone number is 718-221-9642. AREA Yoga Carroll Gardens 389 Court Street, Brooklyn, NY 11231. Phone number is 718-797-3699. 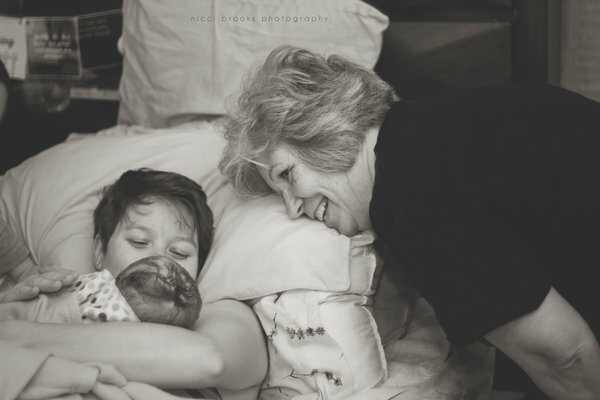 This pic is from the blog of Emily Malone, mother and chef. Her blog is called "Daily Garnish"(link). She posts of family life, health tips and RECIPES. Her current pix of her baby are adorable. Her recipes look scumptous! Would you like to start your own blog? I know how and can teach you in one lesson! Congratulations to 2013 Newborns. Welcome To Brooklyn! Every morning I awake to an email from my favorite Listserve Brooklyn Heights Parents, a Yahoo Group (link to join). 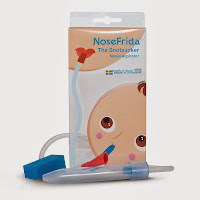 A funny For Sale posting from a Brooklyn mom-to-be caught my eye: FS:Snotsucker. As the post went on to say she had already purchased one and received four at her baby shower. I asked to purchase two. She visited me at my office at Area Yoga, on Montague St, so we could become acquainted. 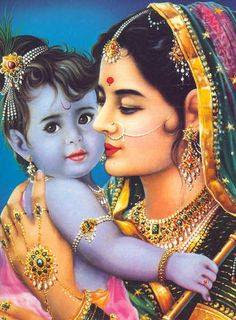 I was treated to a delightfully enchanting ninth month pregini (my word for pregnant lady) who filled out the story. "I opened opened one after the other. 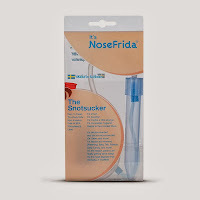 It was like invasion of The Snotsuckers!!!"